World peace is a stretch, since we don’t all choose the same goals, but we can still look for ways to create solidarities – such as by working to agitate authoritarians, to revolt against tyrants, to amplify marginalised voices – to abolish oppression. 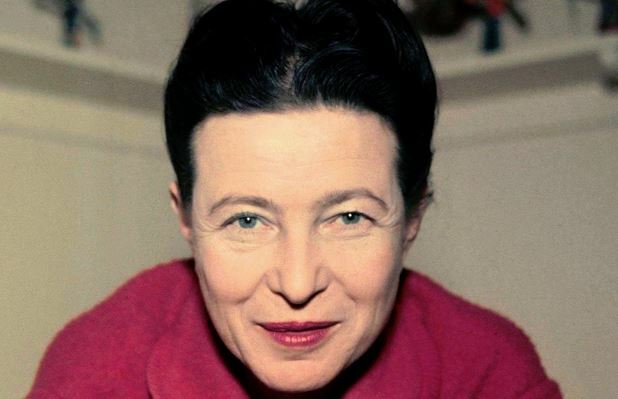 Persistence is essential since, as de Beauvoir says, ‘One’s life has value so long as one attributes value to the life of others, by means of love, friendship, indignation and compassion.’ De Beauvoir is surely right that this is the risk, the anguish, and the beauty of human existence. I agree with being an activist, and have been so my entire life, particularly in the trade union movement. But I have changed this past decade. I am increasingly cynical about all political persuasions exhorting people with their answers only to get into power and nurture their own base at the expense of society. Instead, I believe in starving the beast. I gladly pay, and have gladly paid all of my taxes to our central Govt for services. protection, etc. But I have also drawn firm limits, especially when I see the powerful invest and divert money to avoid their responsibilies. Now, I pay cash and barter as much as possible. We also support more local charities and initiatives such as our local fire department, health centre, etc. Furthermore, I believe it is crucial to protect one’s mental well being with a firm grasp on what is possible to change, and what is not. Bob Lee Swagger: I don’t really like the President much. Didn’t like the one before that, much, either. Colonel Isaac Johnson: You like the idea of the President, living in a free country. Do we allow America to be ruled by thugs? Mr. Rate: The world is not always as it seems, is it son? Bob Lee Swagger: No Sir. Mr. Rate: You keep that in mind. Give locally. Yes, I agree. Ahh, there is the problem, and it is an epistemological one: how do we know what is possible to change? Consider all of the reformers over time who believed that change was possible even if it seemed impossible. That is the question!! How do we know when we are “tilting at windmills”? Especially in a culture that seems to have forgotten about good argument and evidence. I can understand cynicism in this climate of post-facts.